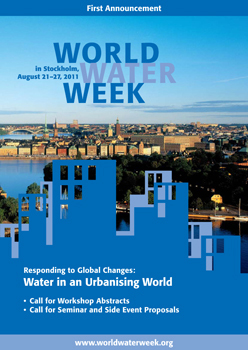 New edition features 14 essays on water and water quality issues that build upon research presented at the 2010 World Water Week in Stockholm. On the Water Front vol. 2 offers a collection of the most innovative and important insights on water and water quality presented at the 2010 World Water Week in Stockholm. This compendium is a must-read for those interested in the latest knowledge, tools and strategies to resolve the planet’s most pressing water quality challenges. 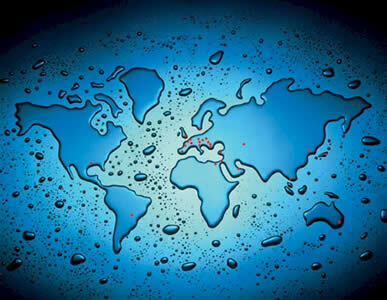 Each of its chapters are authored by leading luminaries from science, business, and public policy and build upon research presented at the 2010 World Water Week in Stockholm, includingStockholm Water Prize Laureates Dr. Rita Colwell and Prof. Takashi Asano and have been edited and peer reviewed by the World Water Week Scientific Programme Committee. Download it here to gain knowledge on how the public health sector will be impacted by climate change, the most potent policy cocktails to protect coastal waters, the best-practice solutions to wastewater reclamation and reuse, what the potential onset of peak water and peak phosphorus could mean to humanity, new ideas to mitigate the growing dangers of chemical and agricultural pollution to human and environmental health, and much more.